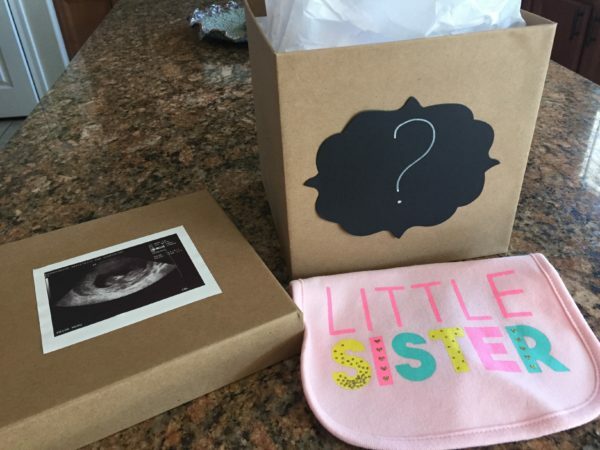 Announcing Share More Smiles Baby #2 Coming Soon! Dr. Moore is happy to announce that he and his wife will be bringing another baby girl into the world this coming September! Our first baby, Claire, is now 10 months. We are excited for her to have a little sister! Meet Our Newest Team Member Jessica! I have been in the orthodontic field for 7 years! I love coming to work and seeing beautiful smiles being created. 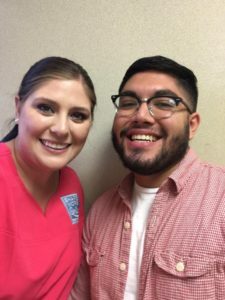 There is nothing better than seeing someone get their braces off and loving their new smile! 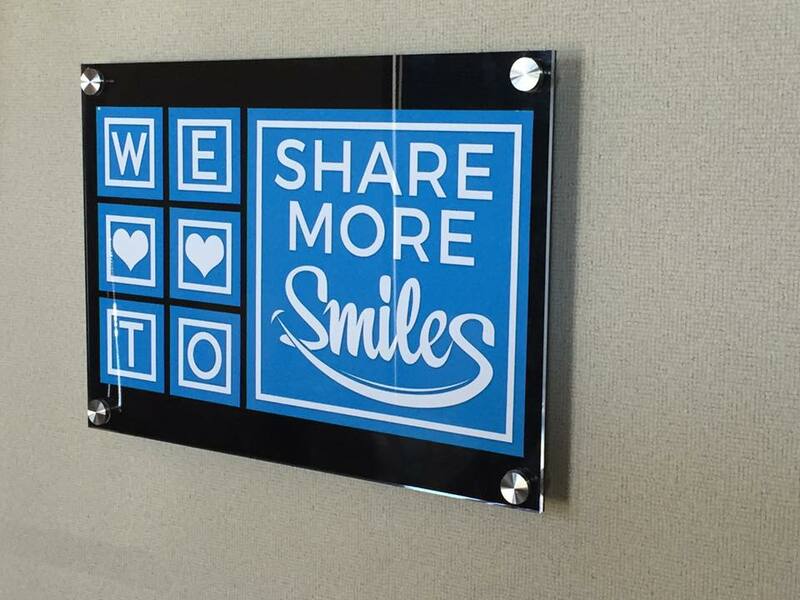 We have such a talented team at Share More Smiles, and the BEST patients! I grew up in Snowflake Arizona, but have lived in Washington State, and Curacao in the Caribbean. In my spare time, I’m probably out in the woods! My husband, and our two sweet dogs, are usually camping, backpacking, hiking, kayaking, or fishing. I love to shoot archery, and travel as much as possible. We have huge families (My husband is the oldest of 11!) so that keeps us pretty busy! Our dogs are our kids. We’ve had our Dachshund mix, Slinky, for 7 years. Rosie the Mini Dachshund is 2, and always getting into trouble! 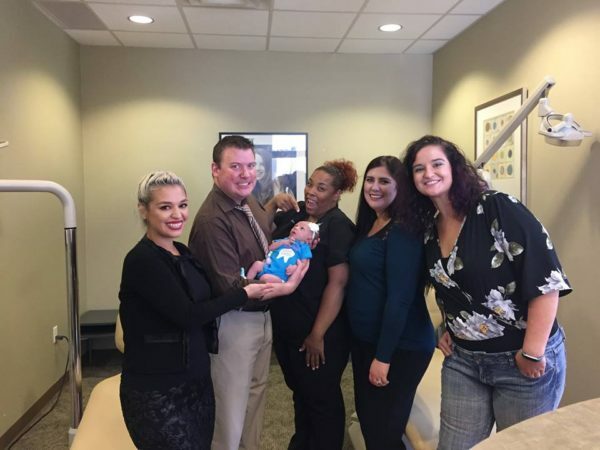 On June 10th, Dr. Moore’s first baby was born! Her name is Claire Elizabeth. She was born at 4:57 pm, weighing 7 lb 1 oz and measuring 20 inches long. 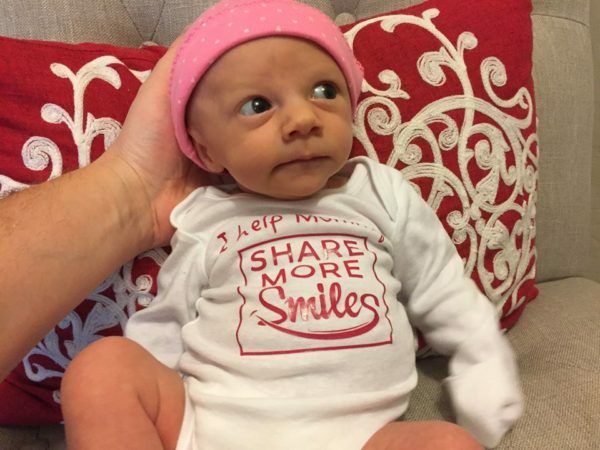 Isn’t she cute in her Share More Smiles onesie? 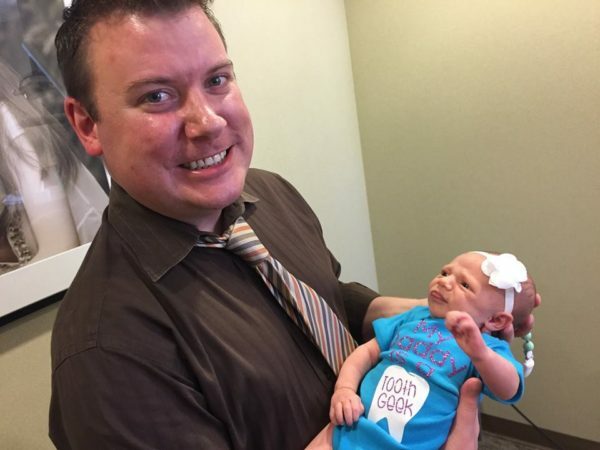 She enjoyed meeting the Share More Smiles team at the office and was dressed for the occasion. Dr. Moore has enjoyed all the parenting advice he has received from many of our parents in the practice and looks forward to sharing more parenting adventures with all of you as time goes on. Congratulations to the winner of our Baby Moore Contest, Caitlin! 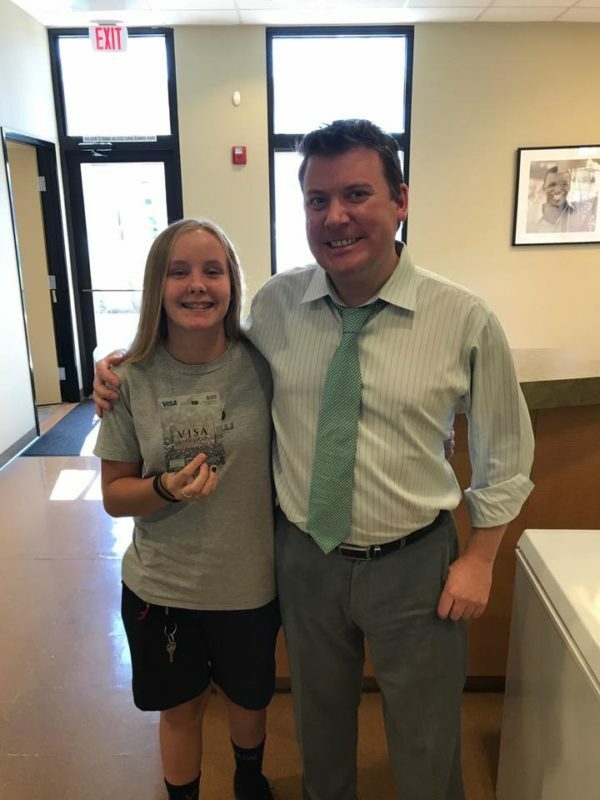 Caitlin won a $50 gift card for having the closest predictions about the birth of Dr. Moore’s baby. Be on the lookout at the office and on our social media pages for our next patient contest. You could be our next winner! 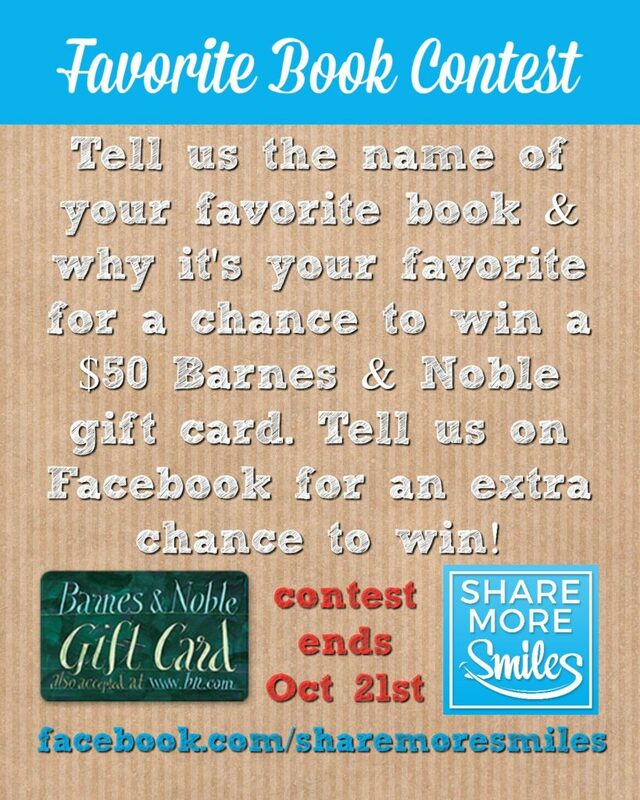 Tell us the name of your favorite book and why it’s your favorite book for a chance to win a $50 Barns & Noble gift card. Tell us on Facebook for an extra chance to win. Contest ends on October 21, 2016. Welcome to Share More Smiles! Welcome to our brand new website. We are so excited you decided to stop by! Here on the blog, we will be sharing information about all things dental, special events, and beyond. The purpose of our blog is to provide helpful tips on how dental and orthodontic services can help you lead an improved, healthier life, but it doesn’t end there. We are passionate about more than straightening teeth. We want to help others lead fulfilled lives just as beautiful as their smiles, and will be sharing stories that inspire us and tips we have discovered to help us lead better lives along the way. There is a wealth of information on the subjects of dentistry and orthodontics out there. At Share More Smiles, we hope to facilitate our readers’ understanding of this information so you can ensure that you or your child realize the best outcomes possible from your treatment experience. Check back often for updates. Please leave a question in the comments section if you can think of a topic you would like us to address. Please share, take care, and above all, smile more! Click here to get to know us better. ©2016 Share More Smiles All Rights Reserved.